The Bible is the inspired, the only, the infallible, the authoritative Word of God. The Trinity is one God in three persons; God the Father, Jesus the Son, and the Holy Spirit. 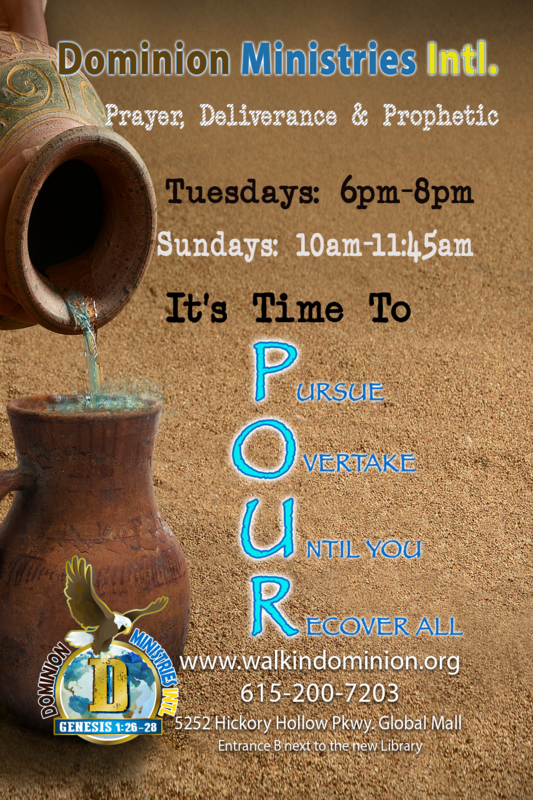 WALK – Teaching and Practicing how to WALK with God- Worship Adore Love Know weekly Sunday 10am service and Operation Good AM text devotional. Focusing on Jesus not on religion. Following Jesus out of desire, not duty. Living from who we are in Christ, not creating an identity on our own. Living as human beings not human doings. Celebrating and embracing God’s desire to live in and through us. Extending God’s grace to others. In a word, we’re about freedom. Freedom is priceless. Freedom is sought by the oppressed, the brokenhearted, and those held captive. It’s received by the brave, preserved by the courageous, and cherished by all. Unfortunately, freedom is truly experienced by a precious few. Dominion Ministries exists to change that. We believe God has called us to be fishermen and as modern fishermen, we had equipped us with an extremely wise NET called the interNET. Real SAVVY fishermen shop at Bass Pros for their fishing bait and other gadgets rather than Walmart. As fishers on men, we believe in investing in the best technology to promote the Kingdom of God. If the Roman government paid a “large sum of money to promote a lie, surely as Ministers of the Gospel we should be willing to pay large sums to tell the TRUTH. Dominion Ministries is known for communicating the timeless treasures of God’s grace with personal transparency, simplicity, and practicality. Dominion Ministries plays a invaluable role in the body of Christ by emphasizing two foundational truths that result in the believer’s living the Christian life consistently and authentically. We have a new identity as forgiven, righteous, and holy saints of God (Colossians 1:22). We wholly depend upon the indwelling Spirit of Christ to express himself in us and through us (Galatians 2:20). Embracing these two truths is crucial for experiencing the abundant life that God offers. Related to identity, a person’s behavior is deeply connected with his self-perception. In other words, you will “live out” whatever you believe about yourself. It follows that a failure to understand our true identity in Christ results in being ill-equipped to act like who we truly are in Christ. Related to our approach to everyday life, if we don’t learn to allow Christ to live His overcoming life through us, we will continually operate in sinful independence. Our faith-walk will lack intimacy with God and the daily consistency that only Jesus can provide. Discovering our true identity in Christ and learning to live wholly trusting in him moment by moment is the way of grace.